The appointment of Mr Walter Kmet is another significant milestone in MQ Health’s journey towards becoming a world-leading centre of healing, learning and discovery. 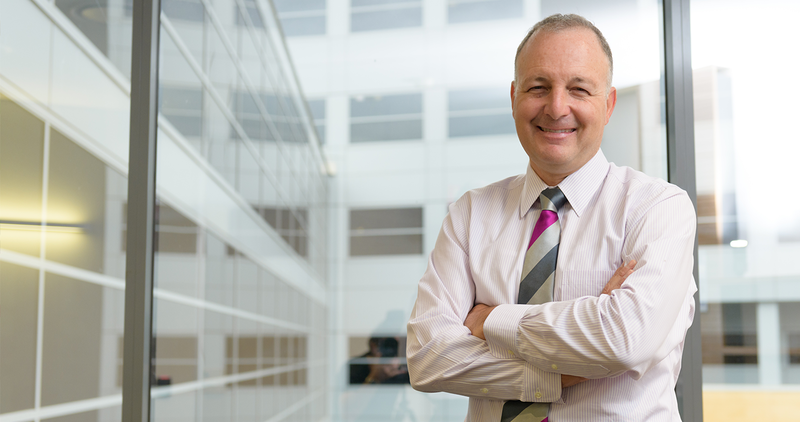 Walter brings to Macquarie a passion for improving lives through world-class healthcare, having spent over 25 years working in human services and health care management in Australia, South East Asia and the UK. Walter’s most recent role leading the Western Sydney Primary Health Network saw him at the forefront of regional and national healthcare challenges. Walter was drawn to health very early on in his career. As an accounting graduate, he eschewed more glamorous jobs in the city-based firms in favour of a role at a private hospital in south-west Sydney. “Those early days in finance and accounting at the hospital level were tough,” Walter recalls. “I was at the frontline, while many of my peers were enjoying life at the big firms. Walter says his career choices have always been made with ‘making a difference’ in mind. The role at MQ Health – with its focus on integrating clinical care, teaching and research – presented Walter with a unique opportunity to influence the future of healthcare. Walter will be uniquely equipped to manage the dynamics of his new team, being a qualified Level 1 football referee.